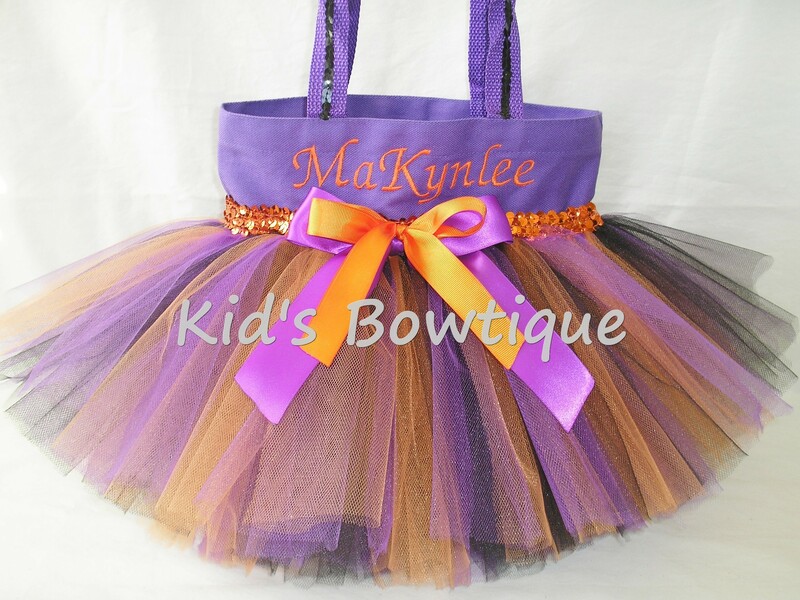 This purple, black, and orange tutu bag can be used for Halloween trick or treating. The purple canvas bag is approx. 10.5X8.5X2 in size. It has a tutu of black, orange, and purple tulles for uniqueness, sequins trim for dazzle, and monogrammed for personalization.